This family consists of deciduous shrubs mainly characterized by opposite leaves and terminal infloresence composed of small flowers that have mostly five petals and are white. This family was formerly considered part of Caprifoliaceae which they strongly resemble. 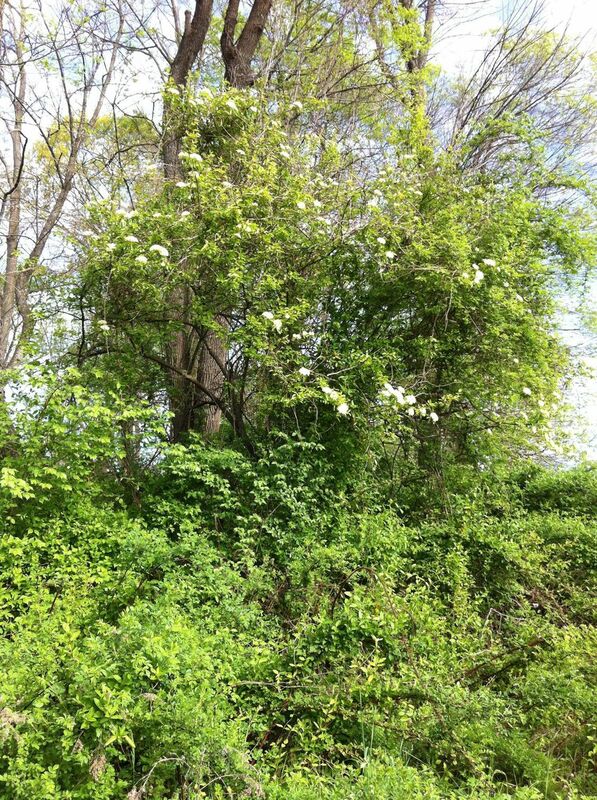 In Chester County during early spring, it is hard to miss Viburnum prunifolium (black-haw) in the forest understory. Many species of Viburnum are popular with home gardners because of their showy flowers and bright fall colors. To this end a number of hybrids and cultivars have been developed. At least six species have escaped cultivation and are now found in the wild in Pennsylvania. Pennsylvania species of Adoxaceae as found in Rhodes and Block (2007). * = Designated as threatened or endangered in Pennsylvania; I = Introduced followed by the region of natural occurance; C = recorded in Chester County; Bold = in photo gallery to the right.